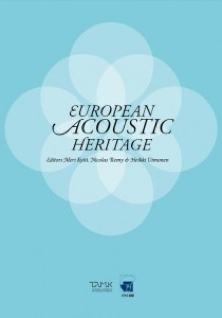 The European Acoustic Heritage is aimed at discovering and enhancing the soundscapes of Europe, the different sounds that make up the imaginary world and personality of the places and environments as a part of the European common cultural heritage. Through this unity in diversity, the respect for cultural and linguistic diversity and the promotion of a common cultural heritage, as it is proposed by the European Cultural Agenda. The project will provide bibliographical references about the audible aspects of the cities, recordings of the audible landscape from several places as well as documents that analyse the gathered material. It will also contribute to strengthen and disseminate the common heritage through actions addressed to the widest diffusion and visibility of the results all across Europe. The production of all these contents will provide an opportunity to consider the sound as a living heritage, which must be preserved and enhanced because of its fragility. Furthermore it will show the importance of the sound of human spaces as a piece of the European culture, such as the sound of the squares, the parks, the human voices and the sound of children playing at the schoolyard, the sound of a street in a rainy day, the sound of an industry area or transport and more human activities. The European Acoustic Heritage will help to generate experiences in different places throughout Europe that define audible identities and common spaces. Supported by the technology and the communication tools the organisers will disseminate the results reached by the project, as well as the work with other groups and associations. the Isle of San Simón Foundation (Fundación Illa de San Simón).